Umu Obiligbo team up with Phyno and Flavour for the visual of “Culture“. The song CULTURE is made by popular new school highlife duo popularly known as UMUOBILIGBO (Akunwafor jnr and Okpuozor) Which they featured industry giant ‘Flavour na abania’ and ‘phyno’, Produced by superstar producer ‘Mastercraft’ guitar by Fiokee, Mix and mastered by mix monster. Culture video is an Epic on. The song Culture promotes African culture and lifestyles. Culture is and inspirational and danceable tunes that has a lot of massages. 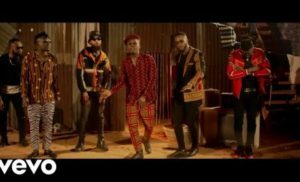 Watch, Download Culture video by Umu Obiligbo featuring Phyno and flavour, enjoy African sound and dance, and be sure to share it with friends.